The University of Maine at Presque Isle will celebrate the 228th birthday of the signing of the U.S. Constitution with a special presentation delivered by Dr. Brent Andersen, an assistant professor of political science (adjunct) at the University. On Thursday, September 17, from Noon to 1 p.m., students, faculty, staff and community members are invited to observe Constitution Day by gathering in the University’s Center for Innovative Learning for the special lecture, which is titled America’s Hidden Constitution. This event is free and open to the public. 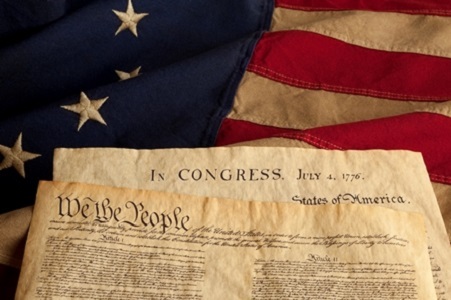 In this lecture, Dr. Andersen will explain some of the less well known provisions of the U.S. Constitution, how these have influenced the course of American history, and how they affect us today. One of the provisions discussed will be the “citizenship clause” of the 14th Amendment. The lecture will be interactive, with quiz questions for audience participants. Dr. Andersen has given several presentations at UMPI in celebration of Constitution Day, including several “Living History” lectures. He explained that the theme of this particular Constitution Day event was selected for a few reasons, including connections with current events. To provide education to the entire campus community, the University plans to install a display at the Center for Innovative Learning featuring information about the Constitution. As well, anyone logging onto the University’s homepage can click on the Constitution Day box, which will lead them to an interactive version of the Constitution at www.constitutioncenter.org/constitution. 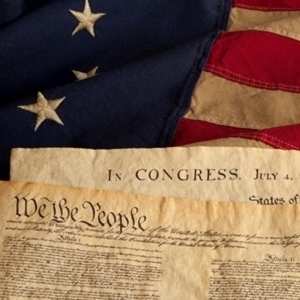 The Constitution Day lecture is a free event and the public is invited to attend. Pocket-sized printed copies of the U.S. Constitution will be distributed during the event. For more information, call 768-9452 or email gshaw@maine.edu.